One of my doctoral students sent me a YouTube video I feel compelled to share with you all. It is an interview with one of my all time favorite and most admired academics — Stephen Jay Gould. Gould, who passed away at age 60 from cancer, was a paleontologist, evolutionary biologist, and scientist who spent most of his academic career at Harvard. He was “one of the most influential and widely read writers of popular science of his generation,” and he was also the author of one of my favorite books of all time: The Mismeasure of Man (1981). In The Mismeasure of Man Gould examined the history of psychometrics and the history of intelligence testing (e.g., the methods of nineteenth century craniometry, or the physical measures of peoples’ skulls to “objectively” capture their intelligence). Gould examined psychological testing and the uses of all sorts of tests and measurements to inform decisions (which is still, as we know, uber-relevant today) as well as “inform” biological determinism (i.e., “the view that “social and economic differences between human groups—primarily races, classes, and sexes—arise from inherited, inborn distinctions and that society, in this sense, is an accurate reflection of biology). Gould also examined in this book the general use of mathematics and “objective” numbers writ large to measure pretty much anything, as well as to measure and evidence predetermined sets of conclusions. This book is, as I mentioned, one of the best. I highly recommend it to all. In this seven-minute video, you can get a sense of what this book is all about, as also so relevant to that which we continue to believe or not believe about tests and what they really are or are not worth. Thanks, again, to my doctoral student for finding this as this is a treasure not to be buried, especially given Gould’s 2002 passing. David C. Berliner, Regents’ Professor Emeritus here at Arizona State University (ASU), who also just happens to be my former albeit forever mentor, recently took up research on the use of test scores to evaluate teachers, for example, using value-added models (VAMs). While David is world-renowned for his research in educational psychology, and more specific to this case, his expertise on effective teaching behaviors and how to capture and observe them, he has also now ventured into the VAM-related debates. Accordingly, he recently presented his newest and soon-to-be-forthcoming published research on using standardized tests to evaluate teachers, something he aptly termed in the title of his presentation “A Policy Fiasco.” He delivered his speech to an audience in Melbourne, Australia, and you can click here for the full video-taped presentation; however, given the whole presentation takes about one hour to watch, although I must say watching the full hour is well worth it, I highlight below what are his highlights and key points. These should certainly be of interest to you all as followers of this blog, and hopefully others. In law, we do not hold people accountable for the actions of others, for example, when a child kills another child and the parents are not charged as guilty. Hence, “[t]he logic of holding [teachers and] schools of education responsible for student achievement does not fit into our system of law or into the moral code subscribed to by most western nations.” Related, should medical school or doctors, for that matter, be held accountable for the health of their patients? One of the best parts of his talk, in fact, is about the medical field and the corollaries Berliner draws between doctors and medical schools, and teachers and colleges of education, respectively (around the 19-25 minute mark of his video presentation). There are other quite acceptable sources of data, besides tests, for judging the efficacy of teachers and teacher education programs. “People accept the fact that treatment and medicine may not result in the cure of a disease. Practicing good medicine is the goal, whether or not the patient gets better or lives. It is equally true that competent teaching can occur independent of student learning or of the achievement test scores that serve as proxies for said learning. A teacher can literally “save lives” and not move the metrics used to measure teacher effectiveness. Reliance on standardized achievement test scores as the source of data about teacher quality will inevitably promote confusion between “successful” instruction and “good” instruction. “Successful” instruction gets test scores up. “Good” instruction leaves lasting impressions, fosters further interest by the students, makes them feel competent in the area, etc. Good instruction is hard to measure, but remains the goal of our finest teachers. Teacher’s effects on standardized achievement test scores fade quickly, barely discernable after a few years. So we might not want to overly worry about most teachers’ effects on their students—good or bad—as they are hard to detect on tests after two or so years. To use these ephemeral effects to then hold teacher education programs accountable seems even more problematic. Observational measures of teacher competency and achievement tests of teacher competency do not correlate well. This suggest nothing more than that one or both of these measures, and likely the latter, are malfunctioning in their capacities to measure the teacher effectiveness construct. 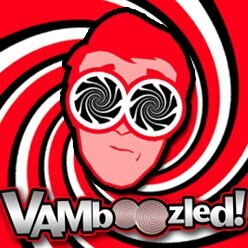 See other Vamboozled posts about this here, here, and here. Different standardized achievement tests, both purporting to measure reading, mathematics, or science at the same grade level, will give different estimates of teacher competency. That is because different test developers have different visions of what it means to be competent in each of these subject areas. Thus one achievement test in these subject areas could find a teacher exemplary, but another test of those same subject areas would find the teacher lacking. What then? Have we an unstable teacher or an ill-defined subject area? Tests can be administered early or late in the fall, early or late in the spring, and the dates they are given influence the judgments about whether a teacher is performing well or poorly. Teacher competency should not be determined by minor differences in the date of testing, but that happens frequently. Teacher effects show up more dramatically on teacher made tests than on standardized achievement tests because the former are based on the enacted curriculum, while the latter are based on the desired curriculum. You get seven times more instructionally sensitive tests the closer the test is to the classroom (i.e., teacher made tests). The opt-out testing movement invalidates inferences about teachers and schools that can be made from standardized achievement test results. Its not bad to remove these kids from taking these tests, and perhaps it is even necessary in our over-tested schools, but the tests and the VAM estimates derived via these tests, are far less valid when that happens. This is because the students who opt out are likely different in significant ways from those who do take the tests. This severely limits the validity claims that are made. Assessing new teachers with standardized achievement tests is likely to yield many false negatives. That is, the assessments would identify teachers early in their careers as ineffective in improving test scores, which is, in fact, often the case for new teachers. Two or three years later that could change. Perhaps the last thing we want to do in a time of teacher shortage is discourage new teachers while they acquire their skills. Within this blog, my team and I have tried to make available various resources for our various followers (which, by the way, are over 13,000 in number; see, for example, here). These resource include, but are not limited to, our lists of research articles (see the “Top 15″ articles here, the “Top 25″ articles here, all articles published in AERA journals here, and all suggested research articles, books, etc., click here. ), our list of VAM scholars (whom I/we most respect, even if their research-based opinions differ), VAMboozlers (who represent the opposite, with my/our level of respect questionable), and internet videos all housed and archived here. This includes, for example what I still believe is the best video yet on all of these issues combined — HBO’s Last Week Tonight with John Oliver on Standardized Testing (which includes a decent section, also, on value-added models). But one video we have included in our collection we have not explicitly made public. It was, however, just posted on another website, and this reminded us that it indeed deserves special attention, and a special post. The video featured here, as well as on this blog here, features Dr. Edward Haertel — National Academy of Education member and Professor Emeritus at Stanford University — talking about “The Flaws of Using Value-Added Models for Teacher Assessment.” The video is just over three minutes; do give it a watch here.